A picture from the archive: one day I discovered two beautiful tiny seaslugs on some fine green seaweed (I think Common green branched weed Cladophora rupestris). These Elysia viridis are not uncommon at all but easily overlooked when rock pooling due to their small size. They resemble nudibranch molluscs but they are not related to them. Amazingly, they can keep the chloroplasts from the seaweeds they eat working for some time in their own body, thus harvesting energy from light! 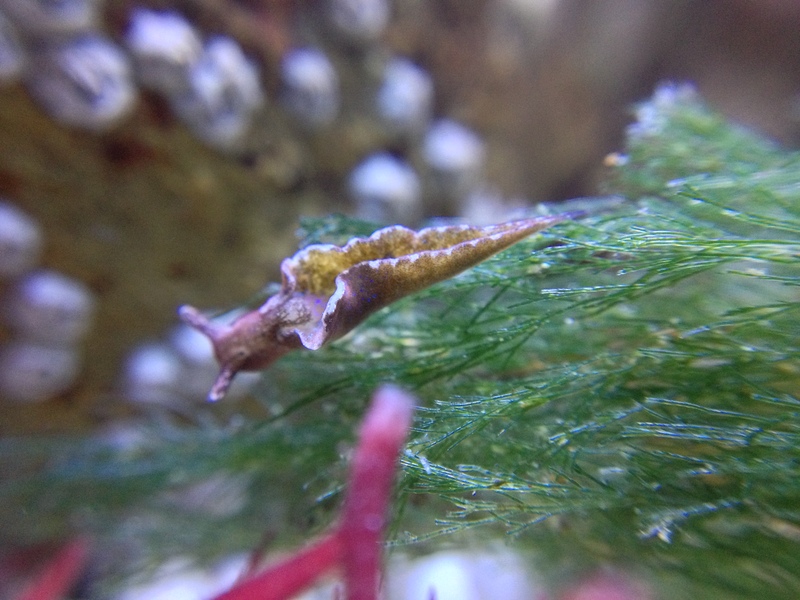 This entry was tagged Cladophora rupestris, Common green branched weed, Elysia viridis, sea slug. Bookmark the permalink.